The importance of desktop computers cannot be challenged as these are considered to be the most stable system as on date, which is still used by numerous users across the landscape. When it comes to the desktop repair services, the symptomatic problems associated with desktops are very much easy to diagnose. The advantageous component among desktops is that they are completely modular and being modular it enables the technician to repair desktop computers with much more ease. As compared to the laptop systems, where the internal components are sometimes merged with other components; in desktop computers, every component is designed to be individual and ultimately plugs into the motherboard for interconnectivity. 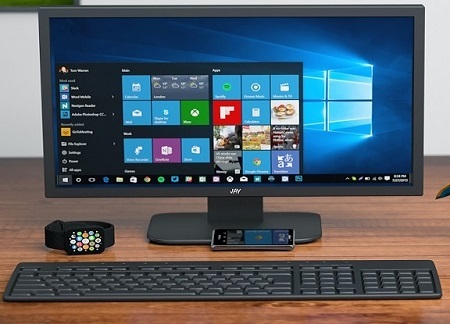 It goes without mentioning that most of the desktop prognosis is much easier as the internal components within are interconnected through a motherboard. Hence restoring the technical glitch in the systems becomes far easier. Hard Drives are the most important component of the desktop systems and they are the mechanical devices which are constantly subjected to wearing out on a day to day basis. The remaining 40 % of failure is because of unnecessary misuse of bumping over it. Since it is a mechanical device, extreme heat could also result in some of the electronic circuit board to fail. Hard drives are sometimes getting a setback due to the sudden power failure while the disk is actively functioning. The motherboard is the most important integrated circuit in the desktop computers and predominantly interconnects the multiple components in the computer systems. If there are errors such as, “no signal” or “check video cable”. Due to sudden electrical fluctuations, some of the IC’s get accidentally burnt off and this results in the stoppage of the certain functionaries. Sometimes the desktop computers when used make unusual strange noises which one cannot take it for granted as these sounds can be an indication of the malfunction of the fan which is mounted on the desktop computer. Malfunctioning of the fans has been considered a serious problem which cannot be overlooked. The fans are being kept in place to remove the heat from the system and helps in the optimum functions of the internal components.